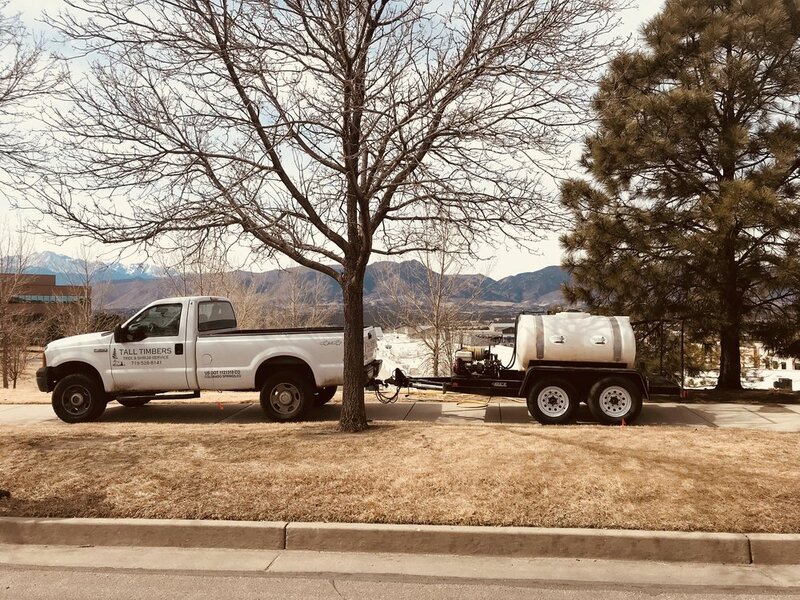 • Trees and shrubs need supplemental water during prolonged dry periods during winter months to prevent root damage that affects the health of the entire plant. • Mature trees have a root area equal to or greater than the trees height. The most critical part of the root zone is within the dripline of the tree. • Newly planted trees are most susceptible to winter drought injury than establish trees. • Trees obtain water best when it is allowed to soak into the soil slowly to a depth of 12 inches. Methods of watering include: sprinklers, deep-root probe, or soaker hose. • Apply water to many locations under the dripline and beyond if possible. Slow soaking or deep root watering is best to avoid runoff. • Apply 10 gallons of water for each diameter inch of the tree. Ex) a 2 inch diameter tree needs about 20 gallons per watering. • 1 watering per month us usually sufficient however, in extreme drought or windy conditions you may need to water twice per month. • Install mulch around trees and shrubs can help retain moisture and improve the health of the plant. • Shrubs benefit from winter watering from October through March. Apply 5 gallons two times per month for a newly planted shrub. Or 1x per month for established shrubs. Remember: On average it takes about 13” of snow to equal 1 inch of water!